Can marine protected areas safeguard marine mammals? ‘What is current about Current Conservation?’, some of you have asked. In these pages we typically present current research or stories that might lead our readers to a better understanding of conservation issues, whether directly or indirectly. This issue carries a number of summaries of scientific papers that highlight the myriad facets of science with implications for conservation. Species that are introduced or that escape into habitats foreign to them can do much damage – like depressing the numbers of prey species (pythons in the Everglades) or affecting other predators (green crabs and dunlins). What determines whether such species succeed or dies out? Scientists suggest that it has to do with how many times the species is introduced, but additionally, it depends on specific life-history traits as well. 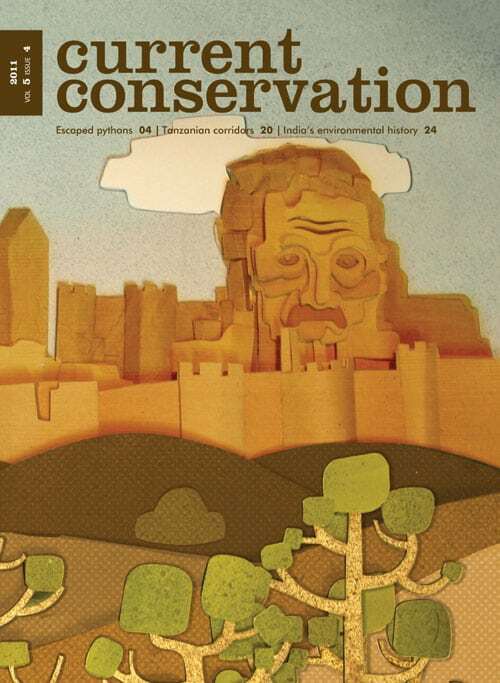 our columnist explores what causes the spread of conservation ideologies in society today. Dan Brockington convincingly argues that the environmental movement requires media darlings, and that articulate, confident people take the cause further.